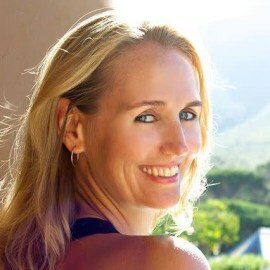 Louise Knoop O’Neill is a South African born Life & Movement Coach. A former professional dancer with a wealth of individual and group facilitation, Louise’s “living - moving - being” method optimises key physical performance indicators for clients. From injury prevention to habitual posture; prehab to pain management; functional fun to executive performance - Louise uses the principle of marginal gains to improve longer term health and performance in any environment. Pioneering the Southern African Pilates arena from 1999 to date, Louise is the founder of Prime Movement, a progressive lifestyle and human performance education program. A seasoned international presenter, 2016 found Louise featured as the Director of Human Movement in the global health documentary hit, "The Big Fat Fix”. More recently, Louise developed the Movement Protocol for the 2017 UK bestseller  - The Pioppi Diet.